An enchanting and magical tale that promotes the importance of kindness, acceptance and friendship. Is Lizzie the Happy Spider actually happy? Can Piyu and her friends escape from Grimemouth, the terrifying menace? Will Zalkor, the night sorcerer, succeed in bringing night forever? Step into the magical world Of Spiders, Monsters and Fireflies. Three wonderfully compelling stories that will take the young, and the not so young, on an exciting journey full of adventure. These fantastical tales will give the reader something to think about and values to be cherished for life. 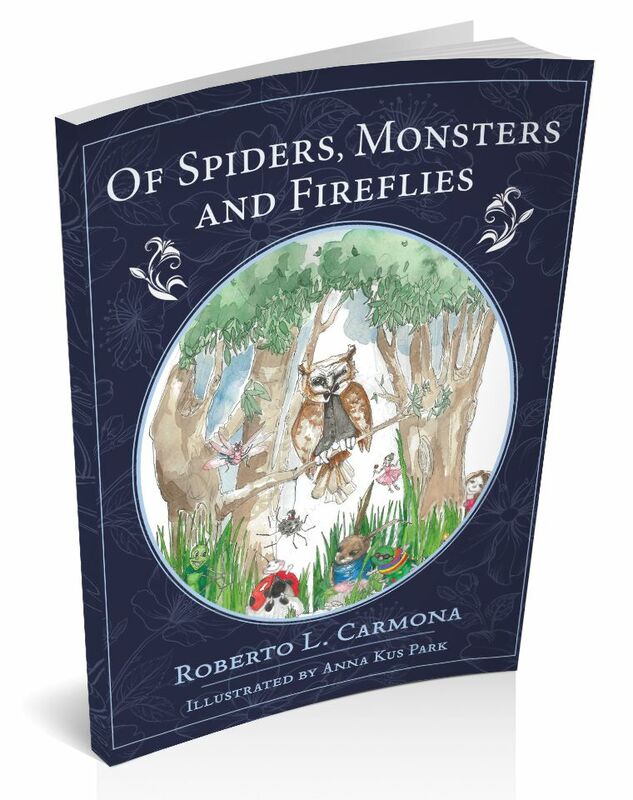 Roberto L. Carmona writes magical stories inspired by his children’s wonderful imaginations. When he’s not writing, he enjoys playing the bass in his band as well as weekend tennis – rain or shine. Roberto lives in London with his lovely wife and their two kids. They regularly see Lizzie the Happy Spider around the house and occasionally catch a glimpse of Julie Glitterwings among the flowers in their garden.